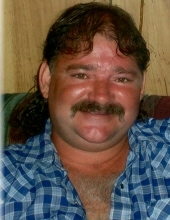 Steven William Holt, age 52, of Rickett Road, Williamsburg, Kentucky departed this life on Tuesday, January 29, 2019 at his home. He was born on February 28, 1966 in Frankfort, Indiana to the late James A. Holt and Mary Faye Rickett. In addition to his father, he was also preceded in death by his brothers, James Darrell Holt and Tony Sullivan and his grandparents, Amos and Susie Rickett and Cleve and Edna Holt and his stepmother, Patsy Holt. He is survived by his daughter, Cindy Ginter (Kyle) of Mt. Sterling, Kentucky; grandson, Silas Ginter of Mt. Sterling, Kentucky; mother, Mary Faye (Rickett) Irvin (Brian) of Williamsburg; sister, Lucy Holt of Williamsburg; stepbrother, Michael Holt of Williamsburg;nieces and nephews, Bradley Holt, Meagan Sullivan, Randy Sullivan, Ashley Medley and Anthony Sullivan; special cousin, Susie Wilson of Williamsburg; and a host of other family and friends to mourn his passing. Visitation will be after 5:00 P.M. Friday, February 1, 2019 at Croley Funeral Home. The Funeral Service will be at 11:00 A.M. Saturday, February 2, 2019 at the Croley Funeral Home Chapel with Rev, Rick Croley officiating. Following the service he will be laid to rest in the Rocksprings Cemetery. To send flowers or a remembrance gift to the family of Steven William Holt, please visit our Tribute Store. "Email Address" would like to share the life celebration of Steven William Holt. Click on the "link" to go to share a favorite memory or leave a condolence message for the family.